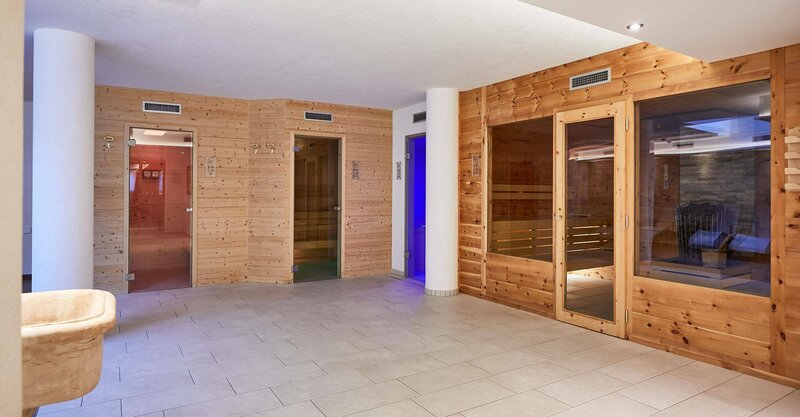 Treat yourself to a maximum of well-being during your holidays, as only a 3-star hotel in South Tyrol with an indoor swimming pool and a large spa oasis can offer you. 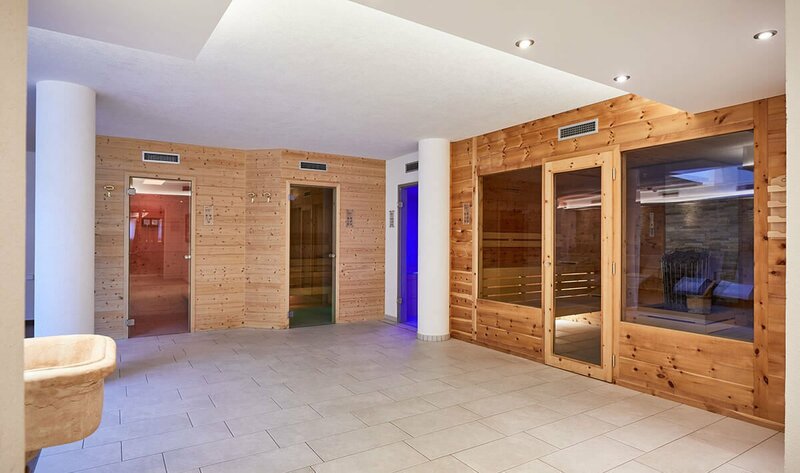 When you return from the mountains or from the ski slopes, a perfect refuge of relaxation awaits you right here in our house. 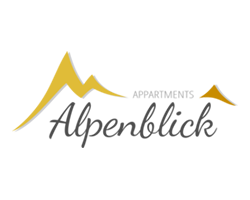 You may relax and unwind, recharge your batteries and find peace. 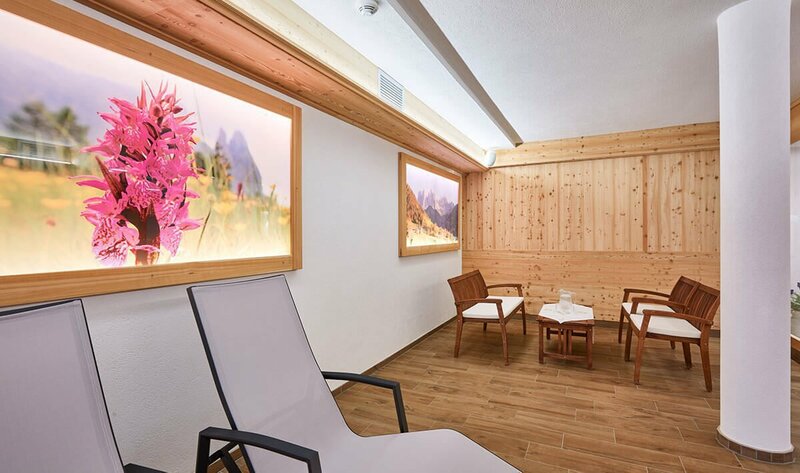 The harmonizing effect of our wellness landscape is further enhanced by the alpine ambience of the relaxation rooms and the sublime mountains outside the windows. 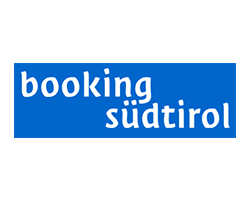 Whatever you like – in our 3-star hotel in South Tyrol with indoor pool you will find the right spa offer. 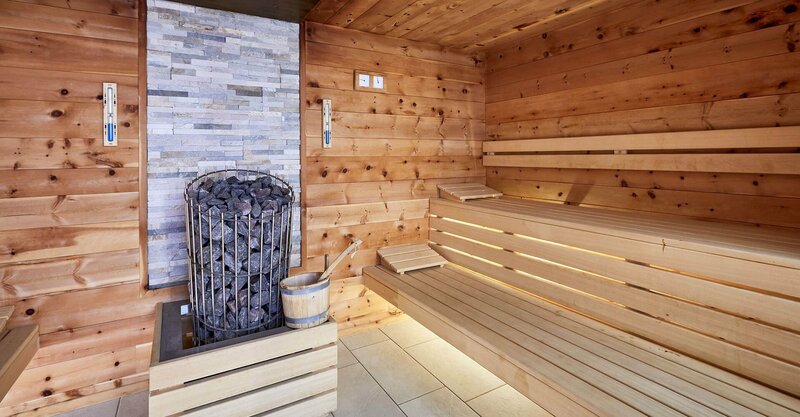 Many of our guests spend several days visiting our different saunas and taking advantage of all the facilities. 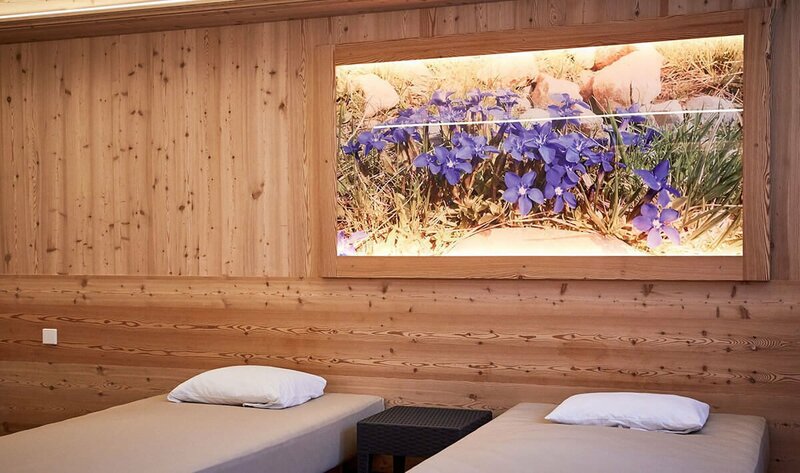 Some love to simply unwind after a sauna session with headphones, their favourite music and holiday book in the relaxation room. 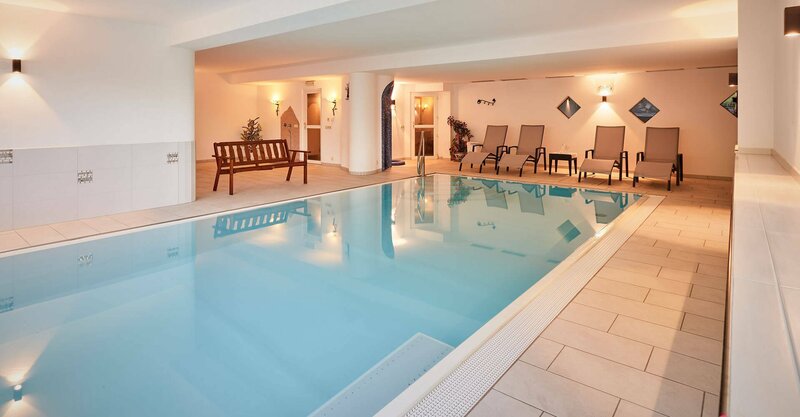 A highlight in our large spa area is of course our heated indoor pool. A few laps in the refreshing water are perfect to round off your day or to get in shape for more challenging tours in the region. 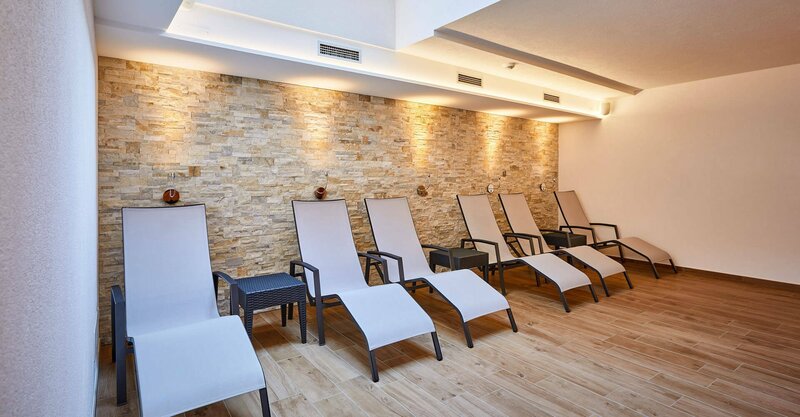 On top of that, you may take advantage of our sunbathing lawn and our sun terrace to relax all year round. 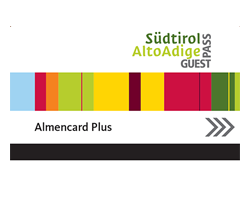 After all, the Pusteria Valley is known for its many sunny days!